Last week, Facebook announced that its Creative Shop team had devised some new, simple methods for converting still images into video, in order to help businesses with less capacity to create video assets to maximize their Facebook ads performance. At the time, however, there was no way to access these new tools, other than contacting Facebook’s ads team for assistance. Now, Facebook has announced in a follow-up post that the new features will be available, in various forms, to all advertisers. Here are your new options for creating video content from text and image assets. First off, you’ll now be able to use Facebook’s new text and image to video tools via what they’re calling ‘Video Creation Kit’, which is being built into both Ads Manager and your Page Publishing tools. To find the option in Ads Manager, you select either ‘Single Video’ or ‘Slideshow’ in your ad format options, then click on ‘Templates’. From here, you’ll be able to choose a video template from the listing – note too that there are also ‘vertical templates’ for Stories viewing. The tool comes with four templates, which are optimized for specific business goals. You select the option which best suits your aims, choose your image and text assets, and Video Creation Kit will put together a fairly good looking video for you – it’s quick and simple to use, and the content created undoubtedly stands out more in feeds. 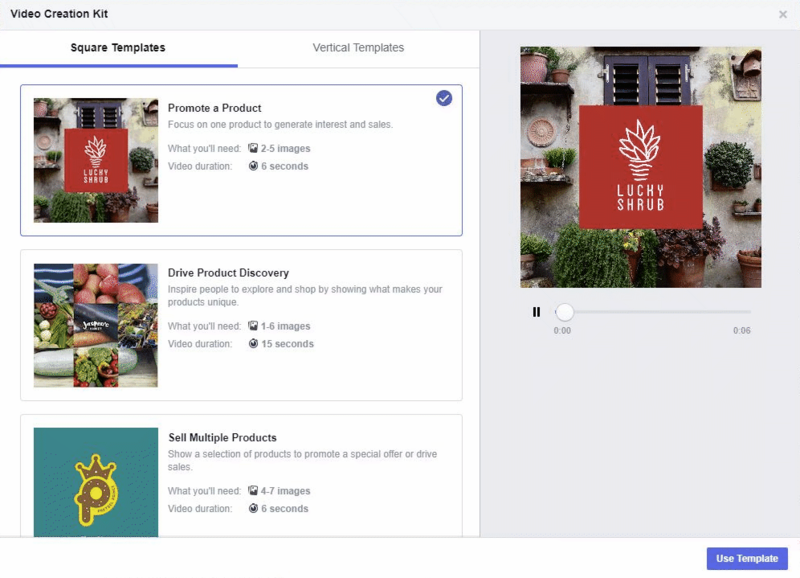 Facebook’s also rolling out a new video cropping tool which enables users to get videos to the right aspect ratios within the ad creation process. The process will make it easier to ensure your content works in the format you need, which could come in particularly handy when looking to utilize Stories. Facebook’s also adding another, mobile-focused, video creation tool for ads. 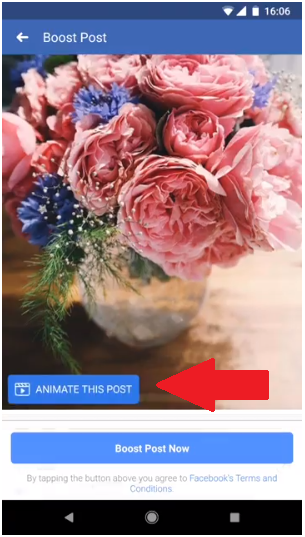 As you can see in the above image, when creating your ad, you’ll now be able to select a new ‘Animate’ option, which takes you through to the next stage. Here, you can put together your video from still and text assets. You can select and edit each element, choosing the text, background colors, framing of the images, and then add them all into a video sequence – essentially a slideshow, but with animated elements. With video proving to be the most effective content option on every social platform, it makes sense for businesses to utilize these new tools to tap into consumer habits, and boost the effectiveness of their ads. There’s a heap of ways you can use these new options, and the addition of Stories-specific tools is also a big plus. Worth checking out for your Facebook ads.